A Snapshot in the Life of TWR Jr.
A Snapshot of the Life of Timothy W. Riley Jr.
§ Timothy William Riley Jr. (TWR) appears to have been born in Saint John, NB, per an affidavit from his mother Honora indicating that he was born in that city and that his birthday was August 26 of 1844. His father was Timothy William Riley who it would appear immigrated to NB from Ireland, Likely as a young married man in late 1843 (or in the alternate as an 18 year old in April of 1834 on board the Matilda). His mother appears to have been born a Dinnahy/Dennahy or some variation thereof. Her record at the Saint John's Alms House indicates she advised officials that she had arrived Saint John on June 9, 1844. § There is a potential record of TWR’s birth associated with the records of the Saint John Alms and Work House. The records for that establishment for 1844 indicate that one Bridget Donahy, presenting as a 20 year old from Cork with a Saint John address, was admitted on July 11 of that year due to pregnancy. The record goes on to note that she delivered on August 25, 1844, and was discharged on her own account on October 1, 1844, after a stay of some 82 days. The handwritten file appears to relate her stay to “Folio Kelly, Cork, June 9th/’44”. Further research indicates that data was intended to referred to her date of landing in Saint John and the name of the Captain of the ship which brought her to Canada; however, some of the detail does not hold up under further scrutiny and it may reflect a partly contrived recent history. Three points regarding the Alms House file are significant – i) The name Donahy and its variations is very uncommon in early Saint John records, ii) The birth date of August 25, 1844 can be readily reconciled with Honora’s reported August 26th, 1844, date for TWR’s birth, and iii) Honora in her 1853 marriage documentation, for whatever reason, gave her mother Ellen’s name as ‘Bridget’. The Cork reference may simply reflect the port from which she left Ireland; the age difference may likewise reflect some of the inconsistency in her age found throughout the record, and at the same time it is likely she would be more comfortable as a teenager reporting in as a 20 year old rather than a 17 year old that the record suggests she was likely to have been. § Beyond the above no formal record of his birth or christening is yet available, although what appears to have been the 1846 christening of his sister Mary is available in the records of the Catholic diocese in Saint John. § Timothy’s father, as reported by Honora in an affidavit in respect of Timothy Jr.'s Civil War pension quest, died on April 10, 1847, in Saint John but no formal record has yet been found of his death or burial. Honora also confirmed in two other affidavits that she moved to the US when son Timothy was 2 years and 7 months old, which would be April of 1847. The family is recorded as living in Ward #1 in Boston in 1850, sharing accommodation with what has been interpreted as Timothy’s grandmother and what would appear to be two lodgers. § The next appearance of Timothy in the records is in 1860 (he has not been located in the Massachusetts 1855 census) where he is found as a 15 year old working for and living in the household of Nathan Joy, a shoemaker in Weymouth, MA. During the intervening decade Timothy’s mother Honora married one Seth Cushman Vickery, a shoemaker from Plymouth, MA, lived in Hanson, MA, both prior and subsequent to the marriage (son Hiland born there), Kingston, and Plympton, MA, all in Plymouth County, and had four more children. Neither Timothy nor his sister Mary were living with their mother and new stepfather and family in 1855; their whereabouts in MA during this period has not been determined. § Timothy gave up the reliable life of a shoemaker on June 13, 1861 when he signed up for Civil War duty by joining Company D of the Massachusetts 11th Infantry, the so-called “Boston Volunteers”, at 16 yrs and 10 months of age, obviously stretching his age somewhat to sign on. He was likely tempted by some form of bounty paid new recruits. His major campaigns were the first and second battles of Bull Run (Manassas), just outside Washington, and the battle of Williamsburg, VA as part of the Peninsular campaign. § Timothy deserted the 11th Infantry on November 2, 1862 while the regiment was on guard duty in Washington because, he said later, he was ill. However, his 'freedom' was somewhat short lived and confined to some seven months as he then volunteered on June 9, 1863, under the alias John Hennessey (ostensibly being afraid his desertion might catch up with him), for the US navy for a one year stint as a landsman. He served on USS Ohio to June 20/63, on the USS Saratoga from June 21/63 to May 20/64, and on the USS Princeton from May 21 to June 13/64 from which ship he was honourably discharged on that date in Philadelphia. It is again likely that he signed up to take advantage of bounty being paid to volunteers by local communities which were required to meet a quota of recruits. § He re-enlisted in the navy on Sept 14, 1864 as ordinary seaman John Hennessey for a two year stint, serving on the USS Vermont until Sept 28/64, on the USS Fort Henry from Sept 29/64 to July 6/65, on the USS North Carolina from July 7 to July 10, 1865, on the USS Florida from July 11/'65 to Nov 19/'66, and on the USS Shawmut from Nov 20 to Dec 8, 1866 from which ship he was honourably discharged on December 9, 1866. Joseph McClease indicated he had known TWR from the time he was discharged from the army [sic] until 1873 as they boarded together with the same family in the general Stoneham, MA area, and that during part of that period they worked in the same [shoemaker] shop. He noted TWR left Stoneham in 1873. One Patrick Foley indicated he had known TWR since 1867 or 1868, in part from boarding at the same house and working in the same shoemaker shop, and that he was significantly disabled at that time and only marginally able to do his work. Timothy F. Quinlan served with TWR in the MA 11th and after the war lived in the area of greater Boston. He indicated he had seen TWR every couple months between 1866 and 1873, and once a year from 1873 to 1875. In a second affidavit he indicated that he believed TWR went to sea a good deal; he said he did not know he was a shoemaker. § The record shows that in 1869 in Stoneham, MA Timothy married 18 year old Mary Golden, born in Blossburg, PA. Timothy was listed as a 24 year old shoemaker in this file; he correctly listed his birthplace as Saint John, NB, and his parents names were given as Timothy and ‘Hanora’. Mary’s parents were listed as Simon and Mary. § Census records suggest that Simon and Mary Golden were born in Ireland, he in 1824 and she in 1827, that they had at least 6 other children, and that her father and two of her brothers were coal miners. Simon had retired by the age of 56 so the likelihood of his having suffered an industrial accident or black lung is strong. § Timothy does not appear to be listed in the 1870 census. His wife Mary Riley, 20, is listed as living in Stoneham along with six month old (born December 25, 1869) Mary Jane Riley. Whether he may have been at sea or whether he may have deserted his family situation is not clear. One possible 1870 Timothy Reilly, seaman, of the appropriate age, is found in San Francisco in 1870 and lists his birthplace as Maine, a reasonable location for a New Brunswicker trying to either fit in or to hide his past. Wife Mary's maiden name was given as Goulding in the birth records of daughter Mary Jane. Searches for the mother Mary in the MA vital records or the US census to 1910 have not been successful to date; daughter Mary Jane is noted to have died of TB in Stoneham, MA in 1892 at 22 years of age and single. § The next confirmed record we have of Timothy W. is his marriage to Mary Jane Crist (Cress) of Bear River, NS, in Digby, NS, on 20 September, 1873. In this record his father’s occupation is given as tailor, his as seaman, and his address as Digby, NS. § Beginning in 1874 and between then and 1892 the Rileys had a series of 10 children, one of which died at or shortly after birth, and a second of which – Ida May – died at 14 years of age. The rest lived into adulthood. The boys George, John, and Bill (after a short stint in MA) all made their homes in Nova Scotia; the girls Margaret, Lottie, Jennie, Viva, and youngest son Boyd all immigrated to Massachusetts, although Boyd did return for service in the Canadian Expeditionary Force in 1917-1919 and is subsequently recorded in NS. § It is not known where TWR and Mary Jane (MJ) initially lived but according to A. F. Church’s map by 1876 they were living at the northwest corner of Hessian Line (Clementsvale Road) and what is now the Mary Jane Riley Road in Bear River East. The early records on the property are not clear but it is likely that the property was owned by George E. Cress, MJ's father. In 1880 TWR sold the house, barn, and shoemaking shop “… on the southern corner of a lot of land perhaps owned by George Cress…” to one John Purdy. By 1896 that same infrastructure was in the hands of George E. Cress and it and the land were deeded to daughter Mary Jane Riley by George and 'Rebekah' Cress for the tidy sum of $20. Mary Jane owned the property until 1927 when the record shows it being sold to Mary Jane’s US-based daughters – Margaret/Lottie/Jennie/ Viva - who held the property until 1940, a year after MJ’s death. In 1940 the sisters sold full ownership of the property to Lottie Howes who held it until 1942 when it was sold to neighbour Kenneth S. Sanford. The property fell into the hands of the Riley family for a second time in 1964 when it was purchased by grandson Herbert Riley who later in 1966 sold it to Kenneth W. Trimper. Most recently c 2000 the home has reverted to the ownership of one Wayne Cress, bringing it back into the Cress family once again. § In 1887, in less than peak health, Timothy began his quest for a US Civil War pension. His first application indicated that near Williamsburg, VA, in June of 1862 he contracted catarrh of head, kidney disease, and liver disease from exposure. It also notes his naval service. Dr Ellison of Bear River, in a medical affidavit, indicated he had known Riley since 1873 and that the patient suffered from chronic Bright's disease (a kidney ailment), chronic catarrh, and chronic diarrhea and that he only retained half his capacity to practice shoemaking. In December of 1888 in a declaration to the Pension Commission TWR noted that he fell from the top gallant forecastle of the SS Saratoga and broke his lower right jaw and was in sick bay for some weeks. In April 1988 he was in Boston getting Affidavits; address No 9 Merchant Row; one letter contains a return address of Stoneham, MA. § On March 6, 1890 Timothy was issued Pension Certificate 7.221 by which he was awarded a pension of $2/month for the fracture of the lower right jaw. 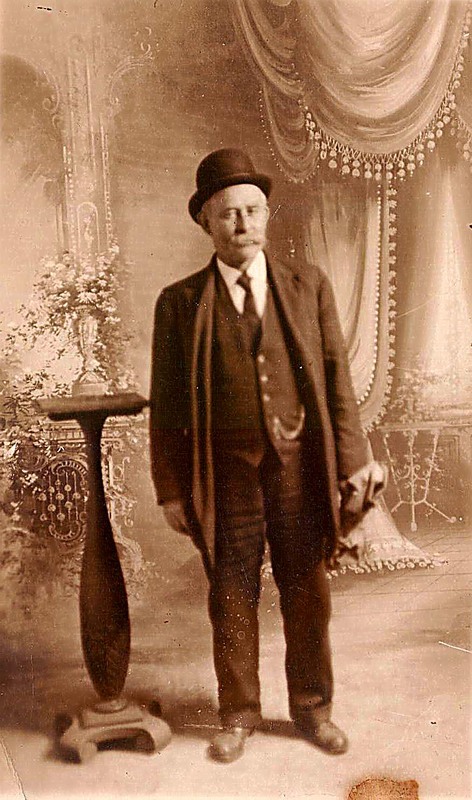 In September of 1891 his pension was raised to $12/month. He continued to agitate strongly for additional pension based on his other maladies; it appears to have been an unwise decision. § By October of 1893 Timothy's desertion from the Mass 11th had turned up before the Pension Commission as a result of their searches of US military records. § In late 1893 TWR’s pension was cancelled due to the introduction of new laws in respect of aliens; payments were again resumed in early 1895. However, by 1895 the Pension Commission, at least in part as a result of TWR’s constant agitation, was questioning the validity of his pension based on his desertion from the MA 11th in 1862, and on June 6 of 1896 he was again dropped from the pension rolls. § TWR maintained his agitation of the Commission, including the enlistment of a Boston Congressman, and in late October the Commission reopened his claim and in mid November his pension was restored at $8 per month retroactive to June 4/1896. In late November the Commission approved a payment of $1005.00 (US) retroactive at $12/month back to 1890. · The census of 1901 lists TWR and Mary Jane along with John, William, Jennie, Viva, and Boyd together as a family unit; the 1901 census was to be taken 30 days either side of Census Day which was proclaimed as March 31, 1901. 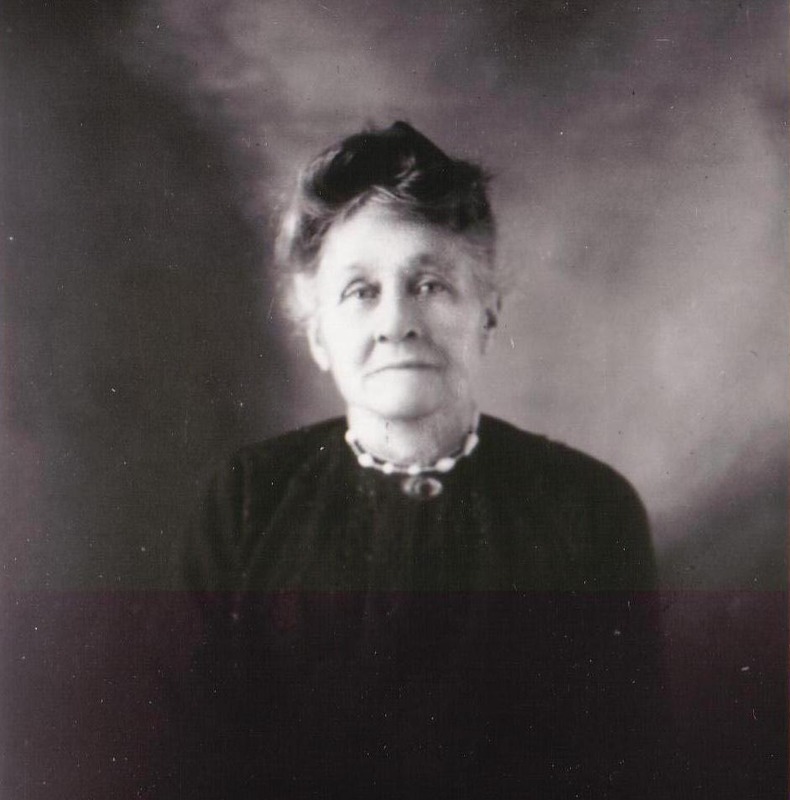 Mary Jane testified before a local Justice of the Peace in November of 1901 that she had moved from the household in February of that year (did not indicate if the children had moved with her) and later in June had moved into the Emerson Long home to look after it while Mr. Long was away. She noted that she had made an agreement with Mr. Long that John, Viva, and Boyd would be permitted to stay there as well. It is likely that Corey Long, the census taker, who knew the family well, simply recorded the family together as a single unit during his census enumeration, ignoring what he likely saw as a temporary domestic spat. § In early November of 1901 TWR was arrested for a Halloween night knife attack on a neighbour and an attempted attack on his wife Mary Jane, who at the time was still living in Emerson Long’s house. The press report indicated he was acting under the influence of liquor, and that the cause of the incident may have been the fact that his wife had left him after "extensive quarrelling”. At a remand in mid-November, 1901, TWR was committed to be held over for trial before the Supreme Court of NS in the spring of 1902. § By the time of the arrest daughters Margaret and Lottie had moved to the US, (although Margaret came back to Clementsvale to get married to William Frederick Millner in 1905) and the record suggests they had also taken or would soon take younger sister Viva with them, likely to protect her from a deteriorating domestic situation at home. It appears that sons Boyd and John were still in the vicinity of Clementsvale, George was noted in the 1901 census to be living in the Grand Pre area of Kings county, but the whereabouts of Bill at that time is unknown. § Interestingly, Timothy maintained his crusade to get his pension increased from the "Poor House" during the winter and spring of 1902. An affidavit from his lawyer indicated that TWR spent that winter in the County Poor House in Bridgetown. This is confirmed by the address of an April 29, 1902 letter to TWR from the Catholic diocese in Saint John. § TWR was tried before the Supreme Court of NS on June 19, 1902 on two charges, each of which was heard by a separate jury. TWR testified in both cases and the verdict in both cases was not guilty. TWR was discharged but the record would suggest that he and Mary Jane were never reunited. There is evidence in a letter written by TWR that she ordered him off the home property, picket from the fence in hand, in late June of 1902. § Eventually his ill health got the best of him. Dr Archibald’s description of TWR in early 1909 was “…laying on his side, legs drawn up; impossible to straighten legs as causes great pain in hips and back; incontinence and obstinate constipation; condition getting worse; paralyses in left leg and right one nearly so; confined to bed about 6 months previous.” Archibald chalked it up to a spine injury at the time of the fall that broke his jaw. § In October of 1908 15 year old Boyd delivered his now bed-ridden father to 36 year old Mrs. James (Paulina) Maling who had volunteered to nurse him and who lived perhaps a kilometer north down what is now the Mary Jane Riley Road; he would have normally been moved to the Poor House in Bridgetown but according to Overseer of the Poor, Corey Long (yes, also the Census taker), he couldn’t be moved easily, would likely die soon, and this appeared to be the better arrangement. § TWR died at Mrs. Maling’s on May 22, 1909, of, according to Dr. Archibald, gradual paralysis, particularly of the digestive system, “probably caused by riotous living” and that at the time of his death he was “absolutely helpless and absolutely thankless”. TWR’s death certificate by Dr. Lovett notes TWR’s death as occurring on May 23, 1909 and that he died from pulmonary TB. § Mrs. Maling paid for the burial plot and the Municipality for the burial. Mrs. Maling attempted but failed to get the US Pension Commission to cover the cost of TWR's last six months in her care. § After about a year of the niceties of dealing with the US Pension Commission bureaucracy Mary Jane was awarded TWR’s pension at $12/month in January of 1912, retroactive to August 3, 1909. Effective July 5, 1928 that stipend was increased to $40/month and continued at that rate until her death in 1939.